This contest has ended. Winners were notified on January 23, 2018. Discover what drives you when the automotive world comes to Grand Rapids! 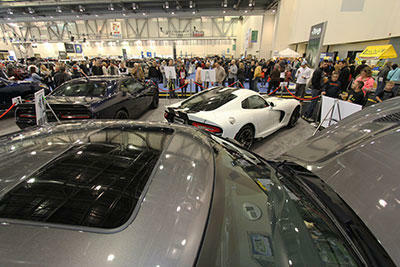 Car manufacturers from around the world will showcase the most recently released or “soon to be released” models. Presented by the Grand Rapids New Car Dealers Association. And, exclusively for the Michigan International Auto Show, Michigan Radio presents the Gilmore Car Museum, an extraordinary selection of vintage automobiles in the Grand Gallery of DeVos Place.